As I sit in the town Ho of Ghana, almost a year after my last trip here, I was reflecting on my old journals and blog posts. I cannot believe how much has changed, and at the same time how much is still the same. On January 13th, 2017, I wrote: “The people of Ghana are said to be some of the kindest and most heartfelt people in the world.” One year later, I can confirm this statement is absolutely true. This year I came to Ghana with a group of 14 people to run medical, dental, and education programs for two weeks in collaboration with Middlebury College’s Global Health Department. I feel so fortunate to be the director of an organization where I am able to bring students to a place that I am able to call home. 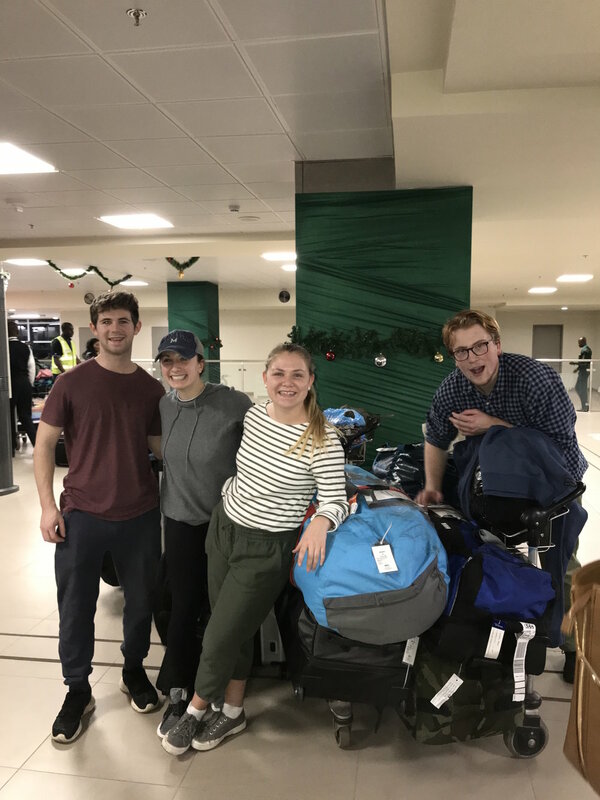 Last Wednesday night Aiden Shumway, Graham Byers, Anna Rowland, and I traveled to Accra with 12 checked bags total (as of right now only one is missing). Getting to Ghana was a little more hectic than we had anticipated, since we missed our Burlington flight and had to drive to JFK in a snowstorm to catch our flights. Kofi Nyalimba, our in-country director, was thankfully there to meet us at the airport in Accra and then we met Alison Parker at the hotel. Thursday morning was a very eventful day! We got up early and set out to meet the General Secretary of the Ghanaian National Football Association with Samira Gaherty (whose sister currently lives in Vermont). The GFA is our newest in-country partner for R.O.C. Inc. As we connect our students through the world’s game (soccer!) we will be able to use the GFA as sponsors and ambassadors for our R.O.C. 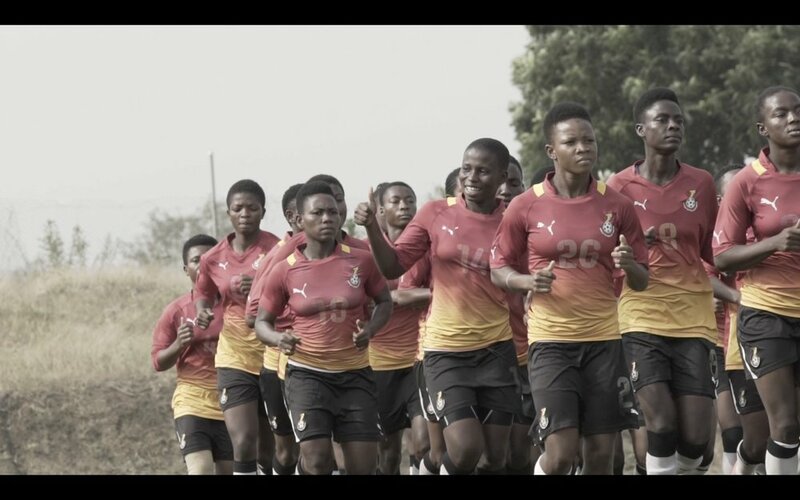 Ghana programs. In return R.O.C. is providing dental care to all its players. In the afternoon we traveled to the Football Team’s Soccer Camp where we met the U17 Players and provided dental hygiene clinics. Alison, Aiden, and I did the cleaning while Anna, Graham and Kofi conducted interviews! We even got to watch their practice. Thursday night Dr. Julie Spaniel and Dr. Maja Zimmerman arrived at the hotel. 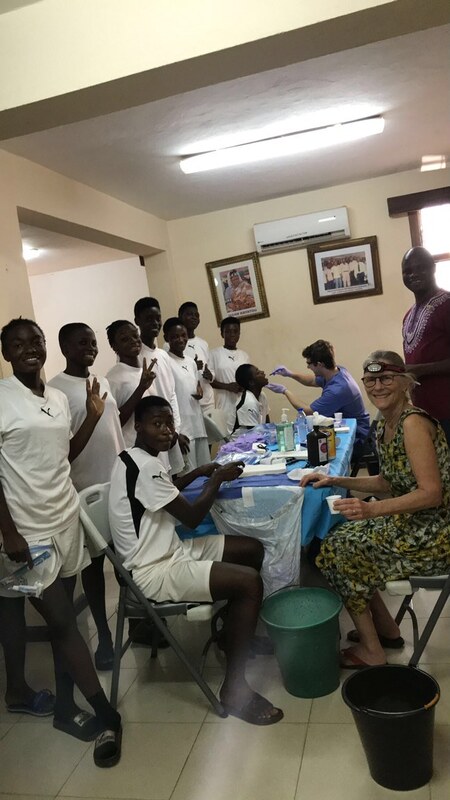 Friday the Middlebury College students and Dr. Andrea Green and her son Callum Mahoney arrived in Accra and joined the rest of the group. We picked everyone up and headed back to the hotel where we ate lunch and then set out on our journey to Ho where we will be spending the next two weeks together. On our way to Ho we stopped by our partner NGO, Day’s for Girls, where we were able to tour the facility where the sanitary materials were made by women in Ghana. 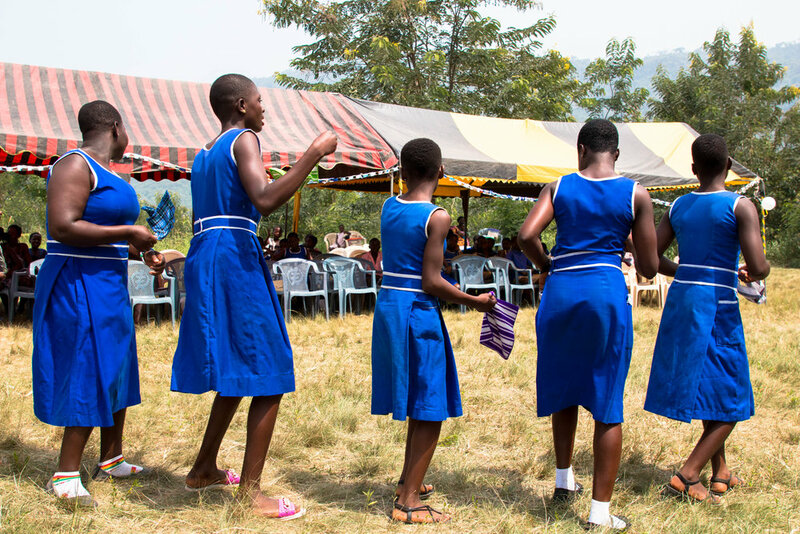 We are incredibly excited about this partnership as we will be able to provide non-disposable sanitary materials to the girls at different partner schools throughout the Volta Region. When we finally arrived in Ho we had a late dinner and went straight to bed. Saturday was our official “day of welcome” in the Have community with Felix (the headmaster who you might remember from last year’s blog). This day of welcome consisted of a blessing ceremony with the paramount chief, and other chiefs from the region. We learned about the traditional hierarchy of the chief system in the Volta Region. 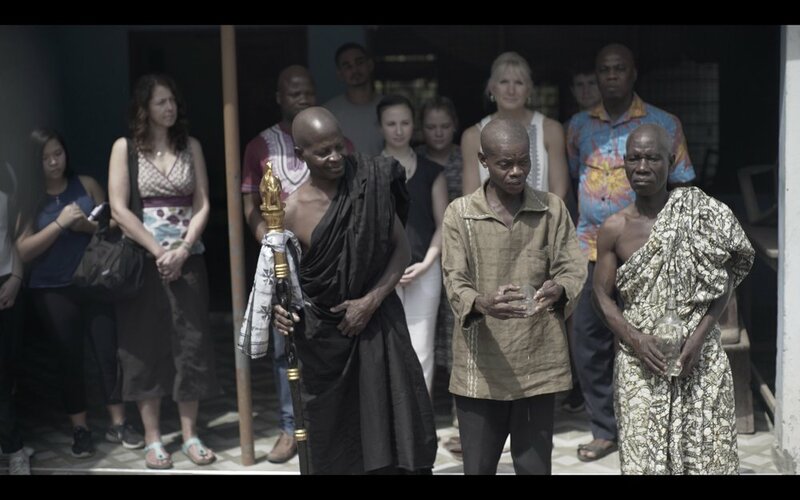 The paramount chief, for instance isn’t allowed to be talked directly to, and has to first talk to their linguist. The paramount chief’s name was Caesar and he gave all of us a huge hug at the end of the day… and added us on WhatsApp. From the chief’s house we set off to the Have Junior High School where we were greeted by the entire student body, faculty, and several community members for a traditional drumming and dancing ceremony. I think it is fair to say none of us had ever seen women dancing with fire on their heads. It was also the time to introduce ourselves to the school and explain our medical and educational project plans. We all got a chance to practice our drumming. Aiden and Alexis seem to have natural talent. Anna and I on the other hand do not… It was a fantastic day. Sunday the whole group was able to sleep in (until 9:00AM). We spent the entire morning med packing bags of all the penicillin, amoxicillin, clindamycin, ibuprofen, acetaminophen, and all the other supplies that was donated generously by Patterson Dental, Delta Dental, and UVM Medical center. 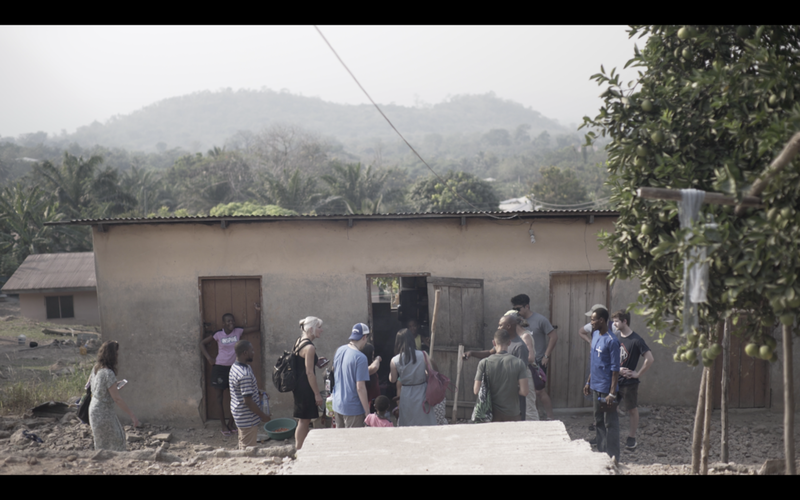 Once we finished med packing we went back to Have to meet Felix and took a tour through the entire community. We visited families in their homes. Felix welcomed us into his home and showed us his yam barn. It was the hottest day so far-around 100 degrees with direct sunlight all afternoon. Water became our best friend. I spent Sunday night trying to get a handle on all of our technology programs (thank you Dani, Lee and Joe for the hours of FaceTiming support). Once that was situated, the whole group packed up for our next adventure. Monday morning, we went back to Have Junior High School for our first day of medical and dental clinics. We knew that the day might get a bit hectic as it was the first time the majority of volunteers had ever run a clinic. We set everything up and we were able to get through almost the entire school! Everyone got a chance to work in a new field. Patients first went to intake where we got basic medical history and information. Then they moved on to triage and then to specific areas (dental or medical). By the second half of the day the mood of the entire group (students and our ROC group) had shifted and lightened. Everyone seemed to finally connect and form a mutual understanding of trust and respect with one another. Even though I was there for 9 weeks last year, this was the first time I felt like we had a real connection with the students of Have Junior High School. 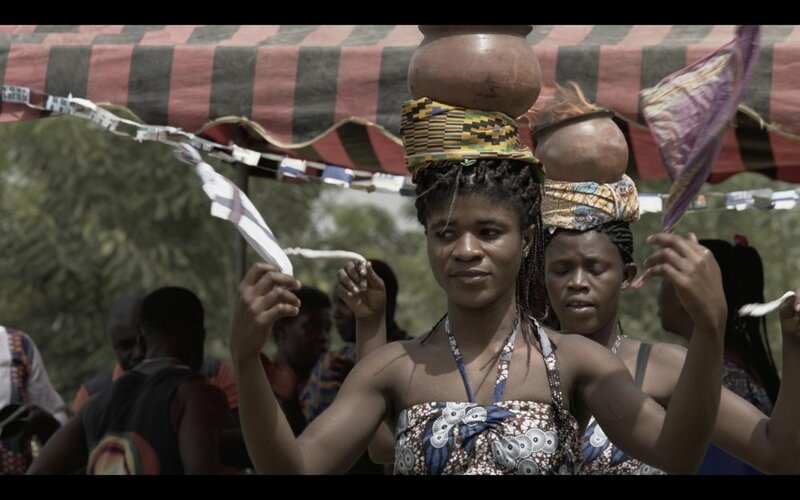 By spending the first three days acclimating to their culture and being introduced to their community through the welcoming ceremony, it just made a huge difference this time. It was clear to everyone that we are all more similar than different. I cannot believe it has been nearly a week since we arrived. Our group has amazing chemistry and talents. We are all learning from one another and growing as a whole. I can’t wait to see what the rest of the week brings. This was the first time in all of my trips where we have spent a lot of time in one community learning about their cultural. It has really given me a new perspective about quality over quantity. Thinking about the future, I realize how vital it is to create a safe environment where we can learn from one another. I think that this is exactly what we are doing here, right now.